Background: Outsourcing in healthcare is a cost-effective strategy that reduces costs and increases service quality. Managers must attempt to outsource healthcare services using scientific methods. Objective: This study is a strategic analysis of the outsourcing of health services in one specialty and subspecialty hospital in Tehran. Methods: This mixed method study (quantitative-qualitative) was performed in 2014 at one of the biggest specialty hospitals in Tehran. Data was collected through interviews, focus discussion groups (FDG), and the internal and external factors evaluation matrix. The study population comprised managers and directors of the hospital. Data was analyzed using Excel 2010 software and SWOT analysis. Results: The final scores for internal and external factors were 2.16 and 2.68, respectively, indicating the hospital had a conservative strategic position for choosing outsourcing strategies. Conclusion: Since this hospital had a conservative strategic position in outsourcing, managers were able to change their outsourcing strategy while considering its advantages and disadvantages and determining the type of services to be outsourced. Organization WH. The world health report 2000: health systems: improving performance: World Health Organization; 2000. Thomas R. Health Services Marketing .Springer sciences. Tsuang Ming-Sion. A Marketing process-planning model for sinlau Christian hospital, Tainan, Taiwan. South Carolina: Univercity of South Carolina; 2008. Purreza A. The role of contractual arrangements in improving health sector performance; experience from countries of the Eastern Mediterranean Region: 2010. Tehran: Ministry of Health and Medical Education; 2010. p. 89. Li B, He M, Cao J. [The SWOT analysis and strategic considerations for the present medical devices' procurement]. Zhongguo Yi Liao Qi Xie Za Zhi. 2006;30(3):206-8. Lock L. Is Military Outsourcing Out of Control? DTIC Document, 2006. Bellenghi GM, Coffey B, Fournier JE, McDavid JP. Release of information are hospitals taking a hit? Attempts by state legislatures to reduce fees for release-of-information requests could make it unprofitable for outsourcing companies to provide this service, potentially leaving hospitals to bear the expense. Healthc Financ Manage. 2008;62(11):118-22. Siddiqi S, Masud TI, Sabri B. Contracting but not without caution: experience with outsourcing of health services in countries of the Eastern Mediterranean Region. Bull World Health Organ. 2006;84(11):867-75. Adams J. Successful strategic planning: creating clarity. J Healthc Inf Manag. 2005;19(3):25. 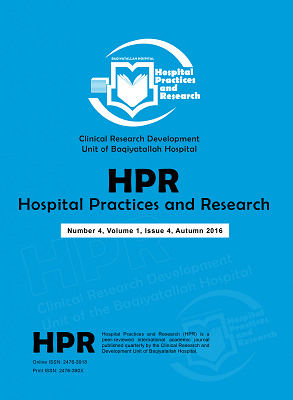 Yaghoubi M, Agha Rahimi Z, Javadi M. Strategic analysis and hospital's strategic position in marketing planning: a case study of a private hospital in the Isfahan. Health Inf Manage 2014;10(7):996. Ferdosi M, Farahabadi M, Rejalian F, Haghighat P. Outsourcing of medical record unit services: case assessment Isfahans kashani hospital. Health Inform Manag. 2010;7:658-68. Wiley A, Coe C. ASHP guidelines on outsourcing pharmaceutical services. Am J Health Syst Pharm. 1998;55(15):1611-7. Ayoubian A, Tourani S, Dehaghi ZH. Medical tourism attraction of Tehran hospitals. Int J Travel Med Glob Health. 2014;1(2):95-8. Tabibi SJ, Nasiripour AA, Ayubian A, Mahmoodabadi HB. The relation between information mechanisms and medical tourist attraction in Hospitals of Tehran, Iran. Director General. 2012;9(3). Izadi M, Ayoobian A, Nasiri T, Joneidi N, Fazel M, Hosseinpourfard M. Situation of health tourism in Iran opportunity or threat. J Mil Med. 2012;14(2):69-75. Mayson B, Fleshner N, So A. Physician opinion of the privatization of health care services in Canada: a survey of Canadian urologists by the Canadian Urological Association Socioeconomic Committee. Can Urol Assoc J. 2009;3(3):193-7. Ansary M, Rahimi A, Yarmohamadian M, Yaghobbi M. SWOT analysis in school of management and medical information science, Isfahan University of Medical Sciences. J Health Admin. 2009;12(36):33-8. Khodaverdi R ZB, E. The advantages, risks and challenges of outsourcing strategy. Roshd-e-Fanavari J. 2011(25):65-71.